In December 2014 the latest apprentice to join FMB Oxford, Paige McConville, was identified as the 2 millionth apprentice under the current Government scheme. 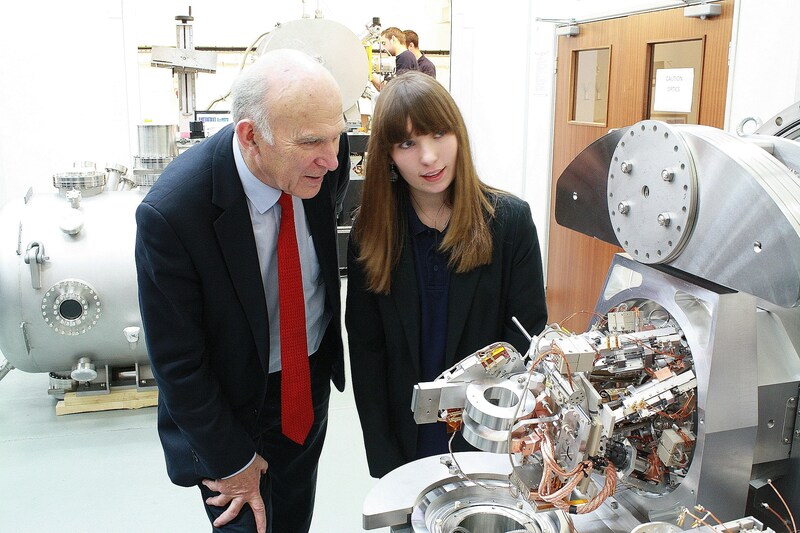 Paige, aged 16, began her Advanced Apprenticeship in Mechanical Manufacture with FMB Oxford in July 2014 and, on 8th December, FMB Oxford were visited by Business Secretary Vince Cable to mark the occasion of the government having fulfilled its commitment. Paige took the Business Secretary on a tour of the facilities, where Dr Cable met production staff, particularly apprentices past and present. Paige later travelled with Dr Cable to Downing Street to meet the Prime Minister. Business Secretary Vince Cable said “Reaching the 2 millionth apprenticeship is testament to this government’s commitment to apprenticeships. Paige and her employer are a shining example of how apprenticeships give young people the chance to start a career and give businesses the talent to grow”. Skills Minister Nick Boles commented “Apprenticeships have a vital role to play in supporting the long term economic plan. Thanks to our reforms and through the support of employers like FMB Oxford, apprenticeships are a solid route into some of the country’s most prestigious professions”.